The Strengths, Weaknesses. Opportunities and Threats (SWOT) analysis is a structured way of evaluating a business project. It captures both the internal and external factors that are favourable and unfavourable to achieve that business objective. 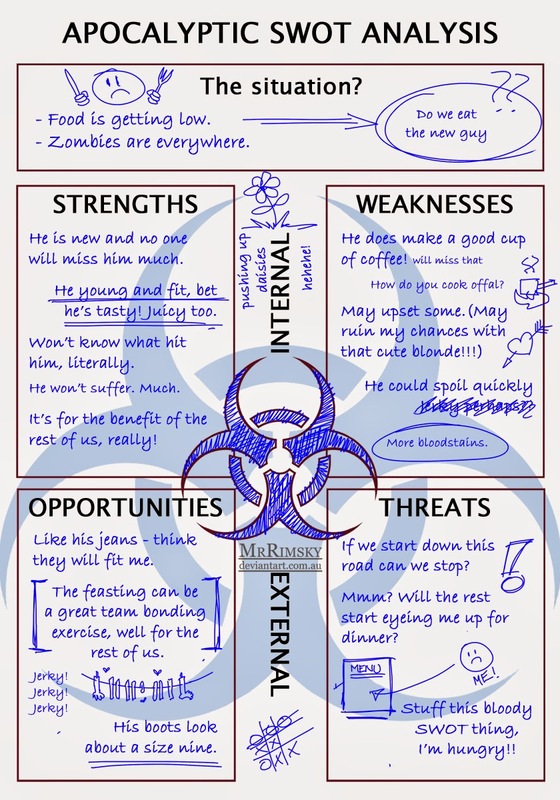 The SWOT analysis can be used in more general situations where you want to explore the pros and cons of a possible action. Even if it doesn't make any sense it will make you look like you're a professional and a competent leader. Bite off more jerky than you can chew. Zombies for the workplace - no joke!